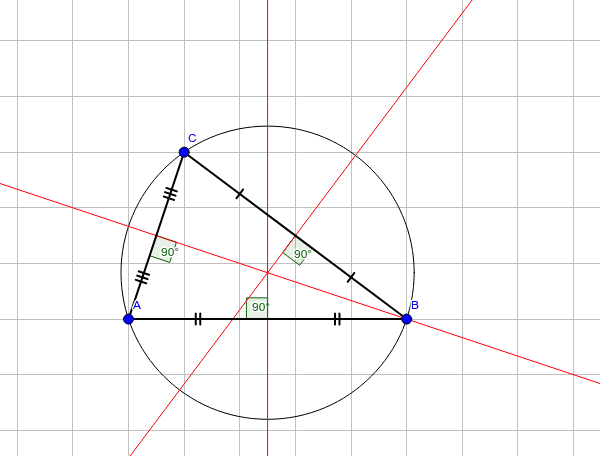 Circumcircle of a triangle using the intersection of the three perpendicular bisectors. The perpendicular bisectors are the red lines. You can move the vertices to see what happens.